2000 Carver 505 Aft Cabin Motor Yacht, extended to 56' and fully customized. None like her, a one of a kind vessel. Pier One Yacht Sales sold this vessel to a couple from Mid-West 3 months ago to sail the Great Loop in style. New owners spent well over $50K in upgrades to get this vessel ready for the 6,600 miles journey, to complete the Great Loop. The following list identified some of the improvements: Remove and replaced the existing Raymarine E120 on the lower station and E80 at the upper station. Replaced with the Raymarine AXIOM 12 an 9. Replaced the existing Radar with a digital Raymarine 4KW Magnum open Array Radar (72) miles range, featured Bird Mode, Beam Sharpening, Target Tracking,True Trails and Real Time heading updates. Replaced the GPS Antenna and upgraded a new N2K Antenna. Replaced the older Sirius Weather module and installed a new Raymarine SR150 Module. Installed two new Direct TV receiver units. Installed a new Flat Screen TV in the Master Stateroom and Aft covered sitting area. New bottom paint, Props tuned and balanced, new Zincs, reconditioned all (7) A/C units and Sanitation System. Completed the 1000 hour service and replaced hoses and impellers. This Yacht is a must see. If you are in the market for a luxurious one of a kind Great Loop ready Yacht under 60', please call me. She is powered by twin Volvo TAMD74PA Diesels, less than 934 hours of usage. The 21KW Kohler Gen/Set has 997 hours. Unfortunately, due to serious health issues this owner will not be able to complete their dream trip and decided to sell. 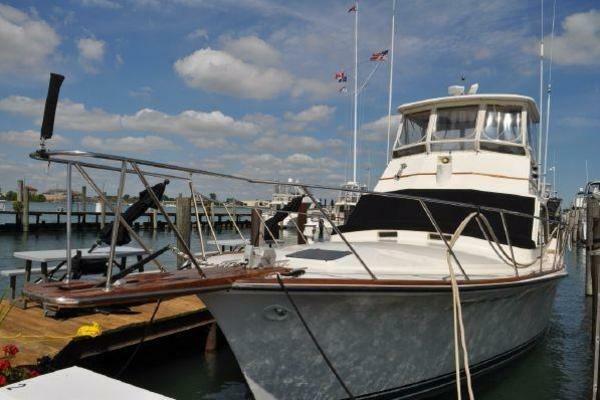 United Yacht Sales New Jersey would love to guide you through a personal showing of this 50' Carver 506 Aft Cabin 2000. 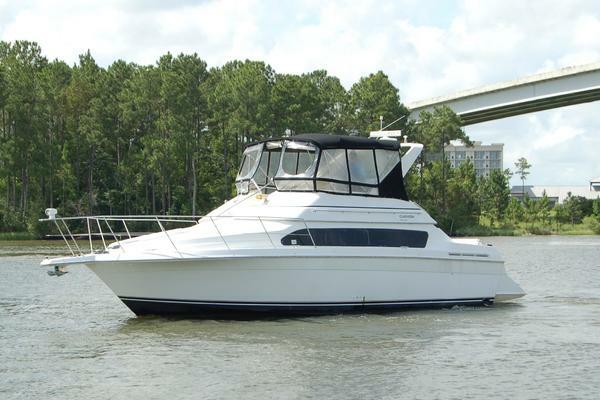 This yacht for sale is located in Punta Gorda, Florida and priced at $309,600. For a showing please contact us by filling out the form on this page and we will get back to you shortly!